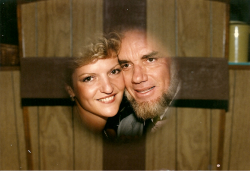 Twenty-five years ago, the late Dr. Francis Schaeffer gave a message at the Coral Ridge Presbyterian Church, Fort Lauderdale, Florida. It was called A Christian Manifesto and it was based on a book he had published the year before with Crossway. While people familiar with the Communist Manifesto might cringe at the use of that word, Dr. Schaeffer intended it to be rallying cry in response to a less familiar, but equally destructive, declaration called The Humanist Manifesto that emerged in 1973. This message has since been credited as one of the most influential set of ideas in guiding how Christians engage in the public square and in the world of ideas. The late Dr. D. James Kennedy hosted Dr. Schaeffer for this message and preserved much of the legacy of his ideas after Dr. Schaeffer passed away in 1984. Dr. Dobson, Tim LaHaye and other Evangelical leaders were also shaped by this influential message. So what were those big ideas 25 years ago that have so influenced the role of Christian engagement ever since? We've pulled out a few of those in the selected excerpts below. Watching the video of this presentation (available here) can give you the full context. The datedness of the clothes, hair and production quality provide even greater contrast to the timelessness of the principles Dr. Schaeffer presented. Going back to those ideas can give us perspective on what motivates the older generation of active Christians among us and can provide those who have come on the scene in the meantime with context for the challenges that remain — as well as the timeless call to be faithful in their generation. We must understand what we are talking about when we use the word Humanism. Humanism means that man is the measure of all things. If this other final reality of material or energy shaped by pure chance is the final reality, it gives no meaning to life. It gives no value system. It gives no basis for law, and therefore, in this case, man must be the measure of all things. So, Humanism properly defined, in contrast, let us say, to the humanities or humanitarianism, (which is something entirely different and which Christians should be in favor of) being the measure of all things, comes naturally, mathematically, inevitably, certainly. If indeed the final reality is silent about these values, then man must generate them from himself. We must understand something very thoroughly. If society — if the state gives the rights, it can take them away — they're not inalienable. If the states give the rights, they can change them and manipulate them. But this was not the view of the founding fathers of this country. They believed, although not all of them were individual Christians, that there was a Creator and that this Creator gave the inalienable rights — this upon which our country was founded and which has given us the freedoms which we still have — even the freedoms which are being used now to destroy the freedoms. The reason that these freedoms were there is because they believed there was somebody who gave the inalienable rights. But if we have the view that the final reality is material or energy which has existed forever in some form, we must understand that this view never, never, never would have given the rights which we now know and which, unhappily, I say to you (those of you who are Christians) that too often you take all too much for granted. So what we find is that the abortion case should not have been a surprise because it boiled up out of, quite naturally, (I would use the word again) mathematically, this other world view. In this case, human life has no distinct value whatsoever, and we find this Supreme Court in one ruling overthrew the abortion laws of all 50 states, and they made this form of killing human life (because that's what it is) the law. The law declared that this form of killing human life was to be accepted, and for many people, because they had no set ethic, when the Supreme Court said that it was legal, in the intervening years, it has become ethical. It's not only the Christian leaders. Where have the Christian lawyers been? Why haven't they been challenging this change in the view of what the First Amendment means.... Where have the Christian doctors been — speaking out against the rise of the abortion clinics and all the other things? Where have the Christian businessmen been — to put their lives and their work on the line concerning these things which they would say as Christians are central to them? Where have the Christian educators been — as we have lost our educational system? Where have we been? Where have each of you been? What's happened in the last 40 years? We, who are Christians, and others who love liberty, should be acting in our day as the founding fathers acted in their day. Those who founded this country believed that they were facing tyranny. All you have to do is read their writings. That's why the war was fought. That's why this country was founded. They believed that God never, never, never wanted people to be under tyrannical governments. They did it not as a pragmatic or economic thing, though that was involved too, I guess, but for principle. They were against tyranny, and if the founding fathers stood against tyranny, we ought to recognize, in this year 1982, if they were back here and one of them was standing right here, he would say the same thing — what you are facing is tyranny. The very kind of tyranny we fought, he would say, in order that we might escape. And we face a very hidden censorship. Every once in a while, as soon as we begin to talk about the need of re-entering Christian values into the discussion, someone shouts "Khomeni." [Boundless note: 25 years later, the word of choice is "Taliban"] Someone says that what you are after is theocracy. Absolutely not! We must make absolutely plain, we are not in favor of theocracy, in name or in fact. Now I want to say something with great force, right here. What I have been talking about, whether you know it or not, is true spirituality. This is true spirituality. Spirituality, after you are a Christian and have accepted Christ as your Savior, means that Christ is the Lord of ALL your life — not just your religious life, and if you make a dichotomy in these things, you are denying your Lord His proper place. I don't care how many butterflies you have in your stomach, you are poor spiritually. True spirituality means that the Lord Jesus Christ is the Lord of all of life, and except for the things that He has specifically told us in the Bible are sinful and we've set them aside — all of life is spiritual and all of life is equally spiritual. That includes (as our forefathers did) standing for these things of freedom and standing for these things of human life and all these other matters that are so crucial, if indeed, this living God does exist as we know that He does exist. We have forgotten our heritage. A lot of the evangelical complex like to talk about the old revivals and they tell us we ought to have another revival. We need another revival — you and I need revival. We need another revival in our hearts. But they have forgotten something. Most of the Christians have forgotten and most of the pastors have forgotten something. That is the factor that every single revival that has ever been a real revival, whether it was the great awakening before the American Revolution; whether it was the great revivals of Scandinavia; whether it was Wesley and Whitefield; wherever you have found a great revival, it's always had three parts. First, it has called for the individual to accept Christ as Savior, and thankfully, in all of these that I have named, thousands have been saved. Then, it has called upon the Christians to bow their hearts to God and really let the Holy Spirit have His place in fullness in their life. But there has always been, in every revival, a third element. It has always brought SOCIAL CHANGE! I think the Church has failed to meet its obligation in these last 40 years for two specific reasons. The first is this false, truncated view of spirituality that doesn't see true spirituality touching all of life. The other thing is that too many Christians, whether they are doctors, lawyers, pastors, evangelists — whatever they are — too many of them are afraid to really speak out because they did not want to rock the boat for their own project. I am convinced that these two reasons, both of which are a tragedy and really horrible for the Christian, are an explanation of why we have walked the road we have walked in the last 40 years. We must understand, it's going to cost you to take a stand on these things.... There's a cost, but I'd ask you, what is loyalty to Christ worth to you? How much do you believe this is true? Why are you a Christian? Are you a Christian for some lesser reason, or are you a Christian because you know that this is the truth of reality? And then, how much do you love the Lord Jesus Christ? How much are you willing to pay the price for loyalty to the Lord Jesus? Announcements of angels, examples, always life impacting. Gen 32:24 Then Jacob was left alone, and a man wrestled with him until daybreak. Gen 32:25 And when he saw that he had not prevailed against him, he touched the socket of his thigh; so the socket of Jacob's thigh was dislocated while he wrestled with him. Gen 32:26 Then he said, "Let me go, for the dawn is breaking." But he said, "I will not let you go unless you bless me." Gen 32:27 So he said to him, "What is your name?" And he said, "Jacob." Gen 32:28 And he said, "Your name shall no longer be Jacob, but Israel; for you have striven with God and with men and have prevailed." Gen 32:29 Then Jacob asked him and said, "Please tell me your name." But he said, "Why is it that you ask my name?" And he blessed him there. Gen 32:30 So Jacob named the place Peniel, for he said, "I have seen God face to face, yet my life has been preserved." ****How has God changed your name since you met Him? What was your name before? Gideon – A realization that what God says of you is true; that God is mighty to save and if you stand in the power of his name, nothing defeat His purposes. Jdg 6:12 And the angel of the LORD appeared to him and said to him, "The LORD is with you, O valiant warrior." Jdg 6:13 Then Gideon said to him, "O my lord, if the LORD is with us, why then has all this happened to us? And where are all His miracles which our fathers told us about, saying, 'Did not the LORD bring us up from Egypt?' But now the LORD has abandoned us and given us into the hand of Midian." Jdg 6:14 And the LORD looked at him and said, "Go in this your strength and deliver Israel from the hand of Midian. Have I not sent you?" Jdg 6:15 And he said to Him, "O Lord, how shall I deliver Israel? Behold, my family is the least in Manasseh, and I am the youngest in my father's house." Jdg 6:16 But the LORD said to him, "Surely I will be with you, and you shall defeat Midian as one man." Jdg 6:19 Then Gideon went in and prepared a kid and unleavened bread from an ephah of flour; he put the meat in a basket and the broth in a pot, and brought them out to him under the oak, and presented them. Jdg 6:20 And the angel of God said to him, "Take the meat and the unleavened bread and lay them on this rock, and pour out the broth." And he did so. Jdg 6:21 Then the angel of the LORD put out the end of the staff that was in his hand and touched the meat and the unleavened bread; and fire sprang up from the rock and consumed the meat and the unleavened bread. Then the angel of the LORD vanished from his sight. Jdg 6:22 When Gideon saw that he was the angel of the LORD, he said, "Alas, O Lord GOD! For now I have seen the angel of the LORD face to face." Jdg 6:23, 24 And the LORD said to him, "Peace to you, do not fear; you shall not die." Then Gideon built an altar there to the LORD and named it The LORD is Peace. To this day it is still in Ophrah of the Abiezrites. Jdg 7:7 And the LORD said to Gideon, "I will deliver you with the 300 men who lapped and will give the Midianites into your hands; so let all the other people go, each man to his home." Jdg 7:8 So the 300 men took the people's provisions and their trumpets into their hands. And Gideon sent all the other men of Israel, each to his tent, but retained the 300 men; and the camp of Midian was below him in the valley. Gideon was hiding in a wine –press, beating out wheat to protect it from the Midianites. The angel of the LORD (known as a christophany) which means a pre-incarnate appearance of Jesus, comes and declares what seems not to be true. He proclaims that the least of the least of the least (the most unlikely in man’s eyes) to be a mighty warrior. He eventually tells him to get rid of most of his army ( he started with 22,000) until he has only 300. Through the power of God’s hand he defeats an army that is beyond number “Jdg 7:12 Now the Midianites and the Amalekites and all the sons of the east were lying in the valley as numerous as locusts; and their camels were without number, as numerous as the sand on the seashore. ****How do you think that Gideon felt on the day after this battle? How was He different? Jos 5:13 Now it came about when Joshua was by Jericho, that he lifted up his eyes and looked, and behold, a man was standing opposite him with his sword drawn in his hand, and Joshua went to him and said to him, "Are you for us or for our adversaries?" Jos 5:14 And he said, "No, rather I indeed come now as captain of the host of the LORD." And Joshua fell on his face to the earth, and bowed down, and said to him, "What has my lord to say to his servant?" Jos 5:15 And the captain of the LORD's host said to Joshua, "Remove your sandals from your feet, for the place where you are standing is holy." And Joshua did so. Jos 6:1 Now Jericho was tightly shut because of the sons of Israel; no one went out and no one came in. Jos 6:2 And the LORD said to Joshua, "See, I have given Jericho into your hand, with its king and the valiant warriors. Jos 6:3 "And you shall march around the city, all the men of war circling the city once. You shall do so for six days. Jos 6:4 "Also seven priests shall carry seven trumpets of rams' horns before the ark; then on the seventh day you shall march around the city seven times, and the priests shall blow the trumpets. Jos 6:5 "And it shall be that when they make a long blast with the ram's horn, and when you hear the sound of the trumpet, all the people shall shout with a great shout; and the wall of the city will fall down flat, and the people will go up every man straight ahead." Militarily God’s instructions made no sense. God battle plan would give no one glory but Himself. ****What is God asking you to do which makes no sense? (example pregnancy center). Zecharaiah – The announcement of a herald for the coming king who would make final attonement for sin. Luk 1:5 In the days of Herod, king of Judea, there was a certain priest named Zacharias, of the division of Abijah; and he had a wife from the daughters of Aaron, and her name was Elizabeth. Luk 1:6 And they were both righteous in the sight of God, walking blamelessly in all the commandments and requirements of the Lord. Luk 1:7 And they had no child, because Elizabeth was barren, and they were both advanced in years. Luk 1:12 And Zacharias was troubled when he saw him, and fear gripped him. Luk 1:13 But the angel said to him, "Do not be afraid, Zacharias, for your petition has been heard, and your wife Elizabeth will bear you a son, and you will give him the name John. Luk 1:14 "And you will have joy and gladness, and many will rejoice at his birth. Luk 1:15 "For he will be great in the sight of the Lord, and he will drink no wine or liquor; and he will be filled with the Holy Spirit, while yet in his mother's womb. Luk 1:16 "And he will turn back many of the sons of Israel to the Lord their God. Luk 1:17 "And it is he who will go as a forerunner before Him in the spirit and power of Elijah, TO TURN THE HEARTS OF THE FATHERS BACK TO THE CHILDREN, and the disobedient to the attitude of the righteous; so as to make ready a people prepared for the Lord." Zacharias was in the temple, probably on the Day of Atonement, to make sacrifice for the sins of Israel. He receives an incredible announcement. Zacharias and his wife were well beyond the physical ability to bear children. Yet he would father a child who would herald the coming Messiah. Because of unbelief he was struck dumb, robbed of speech, until the child was born. ****How are you struggling with unbelief today? What is it robbing you of? Luk 1:27 to a virgin engaged to a man whose name was Joseph, of the descendants of David; and the virgin's name was Mary. Luk 1:28 And coming in, he said to her, "Hail, favored one! The Lord is with you." Luk 1:29 But she was greatly troubled at this statement, and kept pondering what kind of salutation this might be. Luk 1:30 And the angel said to her, "Do not be afraid, Mary; for you have found favor with God. Luk 1:31 "And behold, you will conceive in your womb, and bear a son, and you shall name Him Jesus. Luk 1:33 and He will reign over the house of Jacob forever; and His kingdom will have no end." Luk 1:34 And Mary said to the angel, "How can this be, since I am a virgin?" Luk 1:35 And the angel answered and said to her, "The Holy Spirit will come upon you, and the power of the Most High will overshadow you; and for that reason the holy offspring shall be called the Son of God. Luk 1:36 "And behold, even your relative Elizabeth has also conceived a son in her old age; and she who was called barren is now in her sixth month. Luk 1:37 "For nothing will be impossible with God." Luk 1:38 And Mary said, "Behold, the bondslave of the Lord; be it done to me according to your word." And the angel departed from her. This announcement had the potential to cost Mary everything, the relationship with her parents, her fiancé, her standing in the community, even her very life. ****What is God calling you to which may cost you something? ****The common thread in each of these announcements is that God will perform that which is impossible for man in his own strength to perform. The final announcement carries with it the ultimate impact. Since sin entered the world through Adam, we have account after account of God entering in to the situation to show His love, power, provision – all pointing to the ultimate action – that He would make the final provision for our sin. He again would do what man could not do – restore a sin broken relationship with God through His Son Jesus Christ. Luk 2:9 And an angel of the Lord suddenly stood before them, and the glory of the Lord shone around them; and they were terribly frightened. Luk 2:11 for today in the city of David there has been born for you a Savior, who is Christ the Lord. Joh 3:16 "For God so loved the world, that He gave His only begotten Son, that whoever believes in Him should not perish, but have eternal life. music, the gathering together. But how often do we let our preparations—or our memories—push joy to the side? Joy is like an underground spring that wells up within us, but joy is also a choice, an attitude. Like a muscle, it needs to be exercised. So today we open ourselves to joy, trusting that God has already planted it in us. All we need to do is give it care and offer it to share. Fill us with the kind of joy that cannot be contained, but must be shared. That we may walk in the light of Christ. Amen. For God has created you with the capacity for joy. And make that our gift to the world. and open yourself to God’s gentle, transforming love. We will welcome new possibilities in our lives. We will offer ourselves to God’s goodness. We will go forth in hope, and peace, and joy. FOURTH SUNDAY OF ADVENTCandle liturgyOne: We have lit three candles—for hope, for peace, and for joy. Today we light the fourth candle—the candle of love. With this flame we signify the love of God that surrounds and fills us at all times, but that we recognize in a special way in the Christmas story. There is no greater power than love. It is stronger than rulers and empires, stronger than grief or despair, stronger even than death. We love, because God loves us. All: Loving God, we open ourselves to you this Christmas season. As these candles are lit, light our lives with your imagination. Magnify your love within us. That God is always coming into the world. But in the people we meet and the depths of our own hearts. We will go forth in hope, peace, joy, and love. CHRISTMAS EVECandle liturgyOne: Hope, peace, joy, and love. Four candles, four promises continually offered to us by God, and all of them manifest in this one we light tonight: the Christ candle. In Christ we find the hope of transformation, the peace that follows justice, the joy of self-fulfillment in community, and the love that encompasses us in all our diversity, empowering us to make our own unique contribution to this world. In Christ we find light and life, and the courage to be like him, answering his call and following in his footsteps. his call and his promise as clear to us as it was to his disciples so long ago. Be born in us this night, in our hearts, our minds, our lives. of God with us, God for us, God in us. Amen. Reader 1: O God, we light the second candle of Advent. Reader 2: We seek your comfort. Both mighty and tender, you come. Prepare our hearts to be transformed by you. Reader 1: Isaiah announced God's coming to a people exiled in a broken and parched wilderness. He declared that God's redemption would make a highway in the desert and change the rough places into plain. God would come as a shepherd—feeding, leading, and cradling the weary flock. This Advent, we seek such a God. People : Saving God, look upon your world and heal your land and your people. Prepare us to be changed. This Advent, teach us to be tender and just, as you are. Amen. Come to us, O Christ the Light.and the powers in the heavens will be shaken. Hope! Joy! Peace! Advent is the season in the Christian year when we hear and participate in the time of waiting for the birth of the Messiah. We look with hope for the second coming of Christ. We pray for the light of Christ to fill “us with joy and peace in believing.” We hear the voice of God in scripture. We hear the voices of God’s people around the earth as we pray together for the joy and peace of Christ’s love to warm the hearts and lives of all humankind.